Welcome to our hotel in Dieppe. 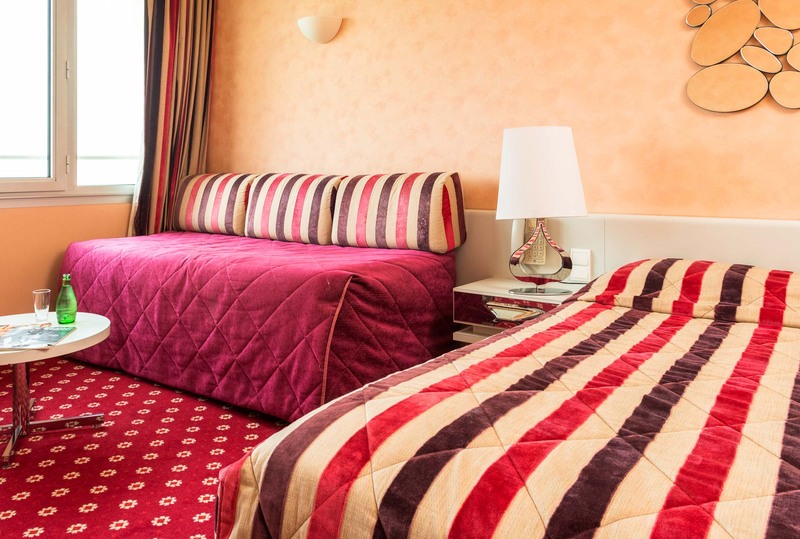 A warm welcome awaits you at a hotel with plenty of personality, which will make you fall in love with Dieppe. 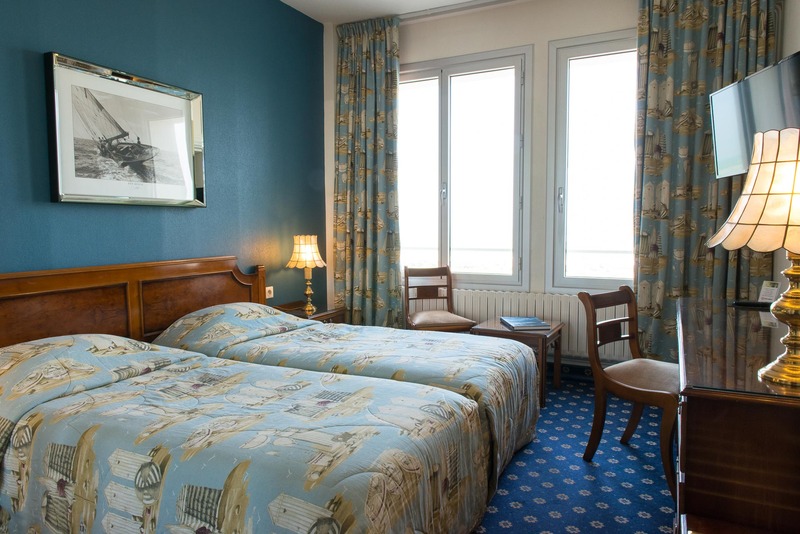 Each stay at Hotel Aguado in Dieppe is a unique experience. Our personalised rooms feature lovingly designed Victorian, Modern, Vintage and Colonial décor, with materials carefully selected to create the perfect atmosphere. We select our furniture with care, and a focus on where and how it was made. 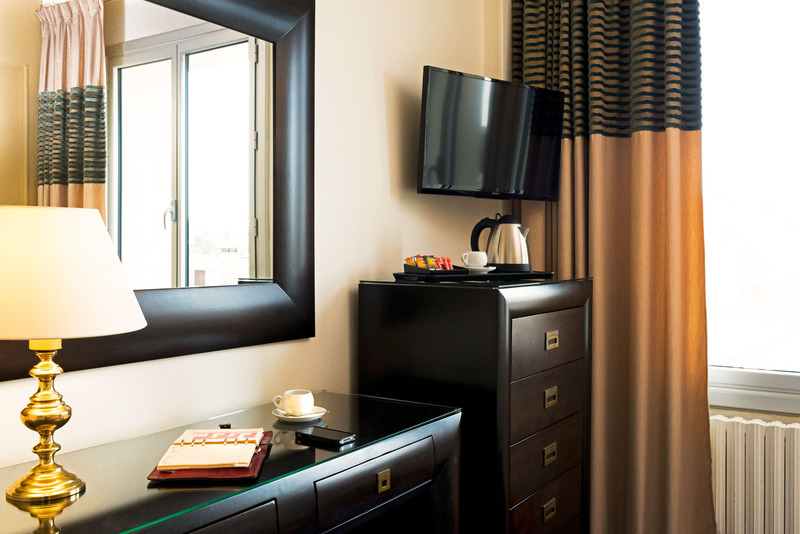 One third of our rooms offer port and town views. 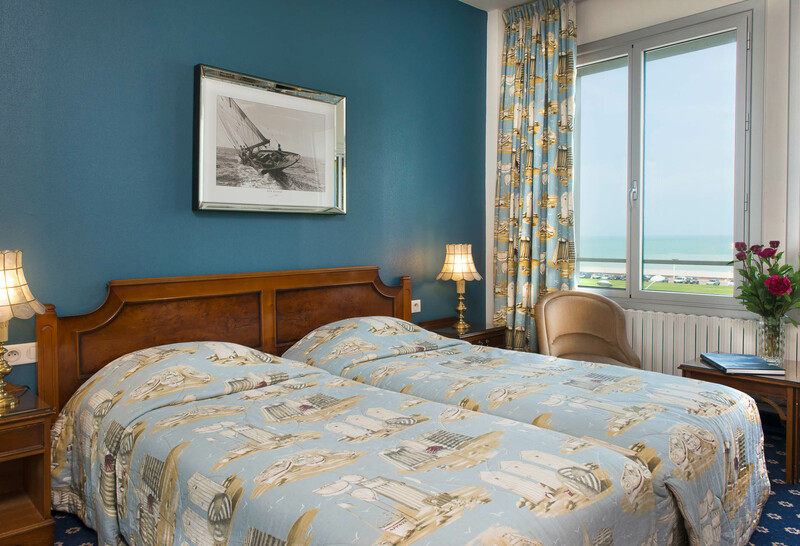 If you prefer to soak in the seaside atmosphere, the majority of our rooms offer breathtaking sea views. 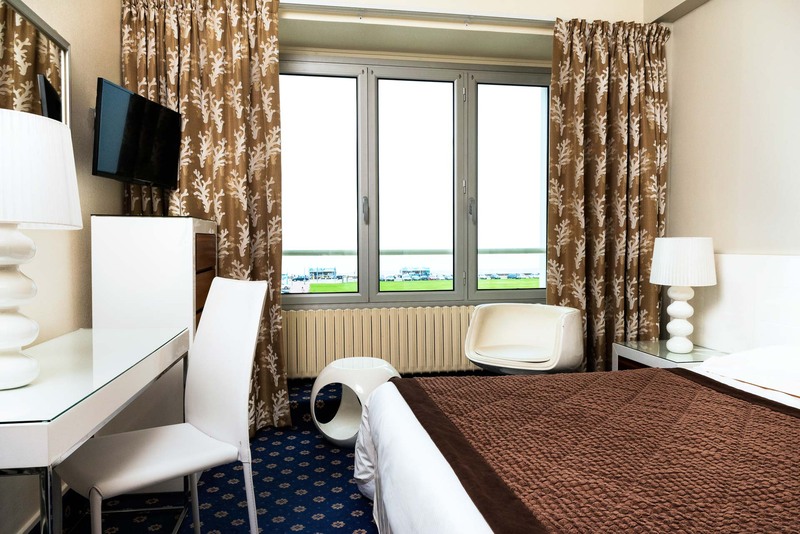 All of our 55 rooms are fully renovated and sound-proofed, and offer everything you need for the perfect stay, whether you're travelling for work or fun. 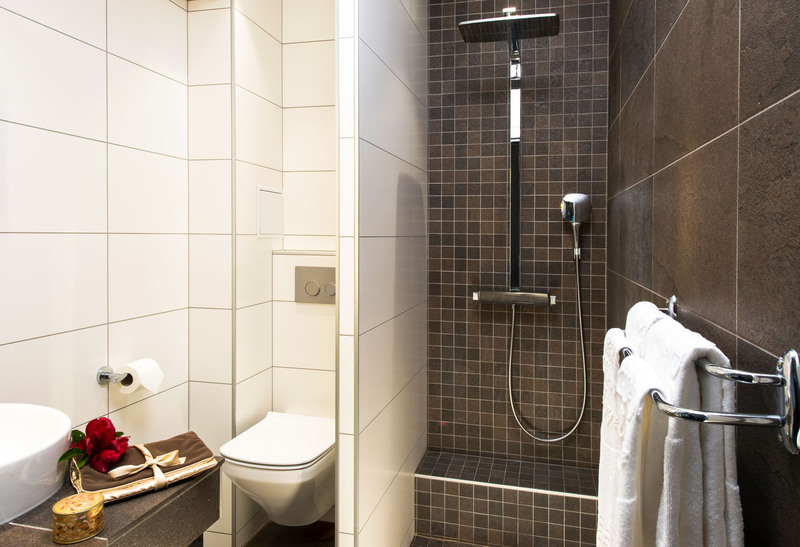 The hotel is not accessible for disabled people but the access is facilitated for people with mobility problems. 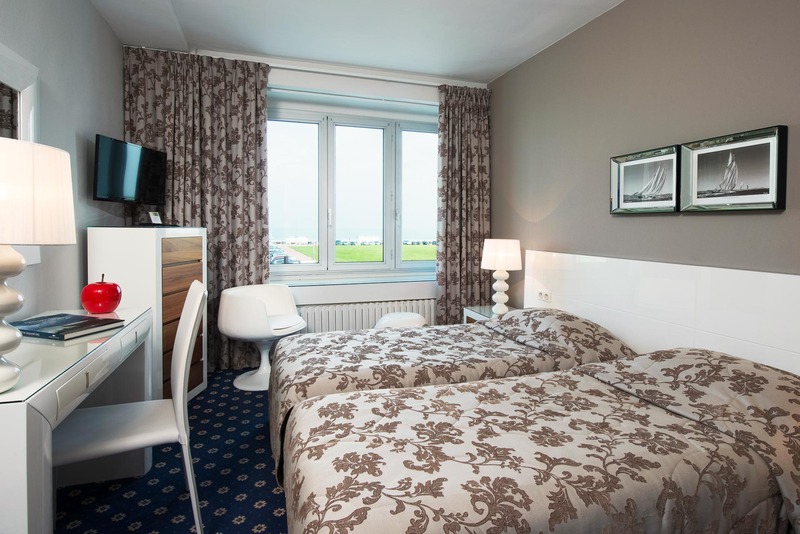 These double rooms with a sea view can accommodate up to 2 guests. 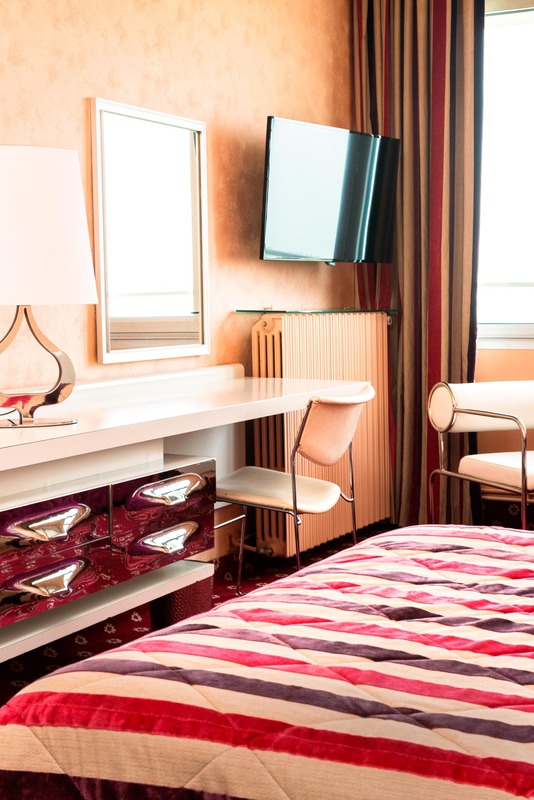 They come equipped with a flat screen TV (TNT, international channels, radio), a telephone and wake-up call service, free WiFi access, high-end mattress, minibar, desk, courtesy platter, bathroom with bath or shower, complimentary toiletries and hair dryer. 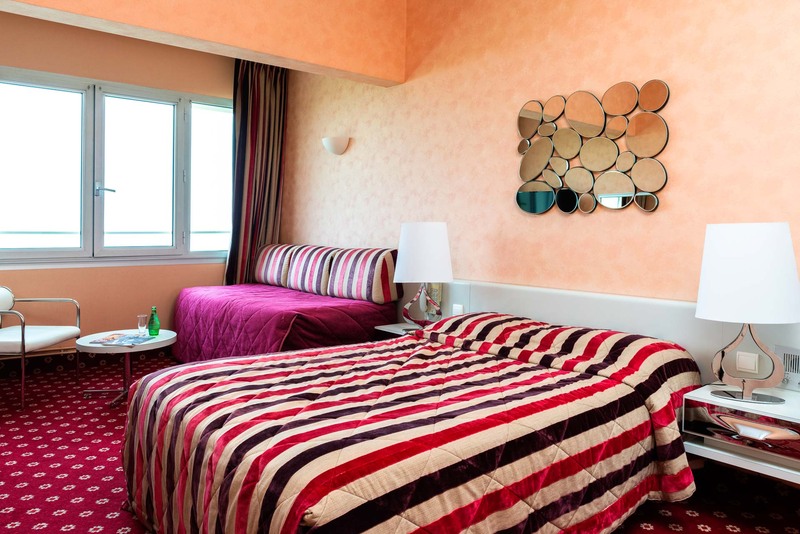 These sea view rooms come with two twin beds and can accommodate up to 2 guests. 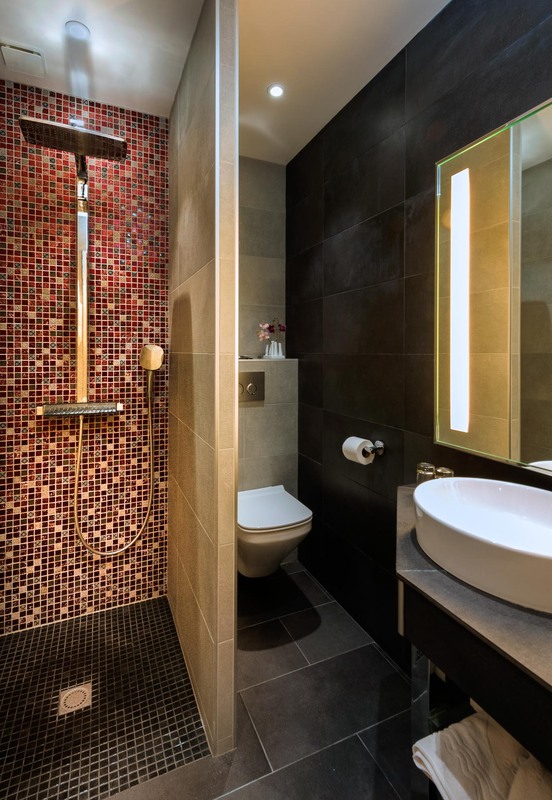 They come equipped with a flat screen TV (TNT, international channels, radio), a telephone and wake-up call service, free WiFi access, high-end mattress, minibar, desk, courtesy platter, bathroom with bath or shower, complimentary toiletries and hair dryer. 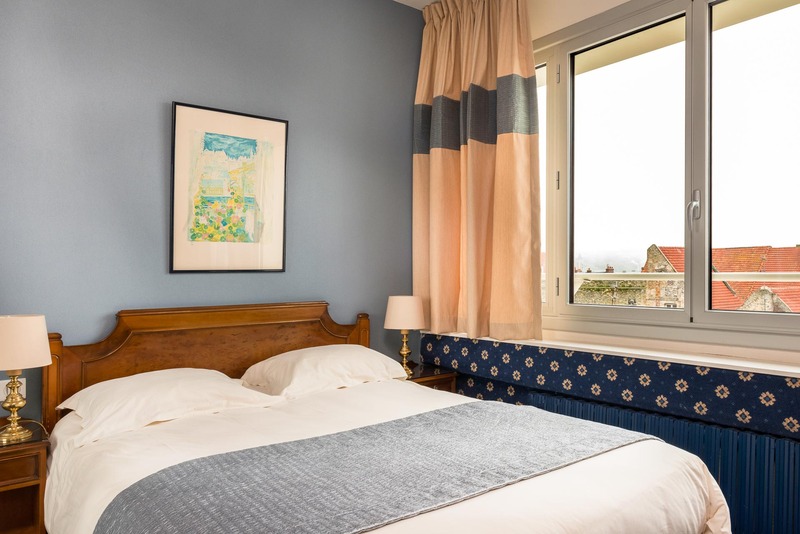 These double rooms with a view of the town and port can accommodate up to 2 guests. 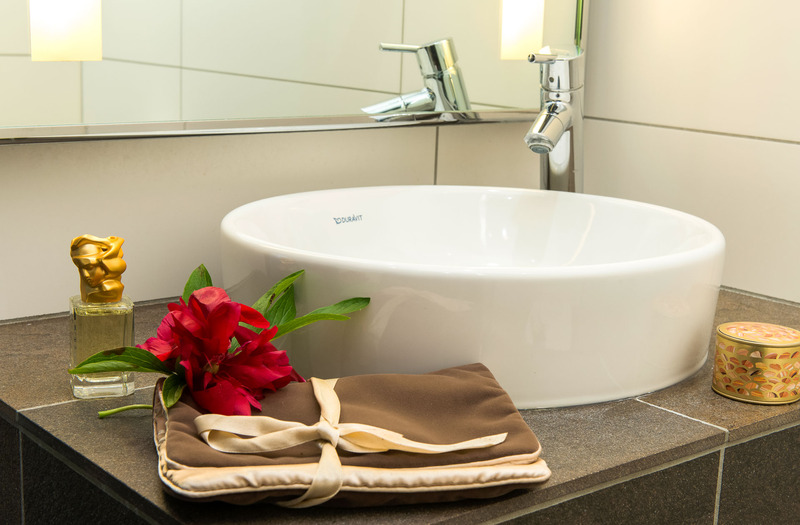 They come equipped with a flat screen TV (TNT, international channels, radio), a telephone and wake-up call service, free WiFi access, high-end mattress, minibar, desk, courtesy platter, bathroom with bath or shower, complimentary toiletries and hair dryer. 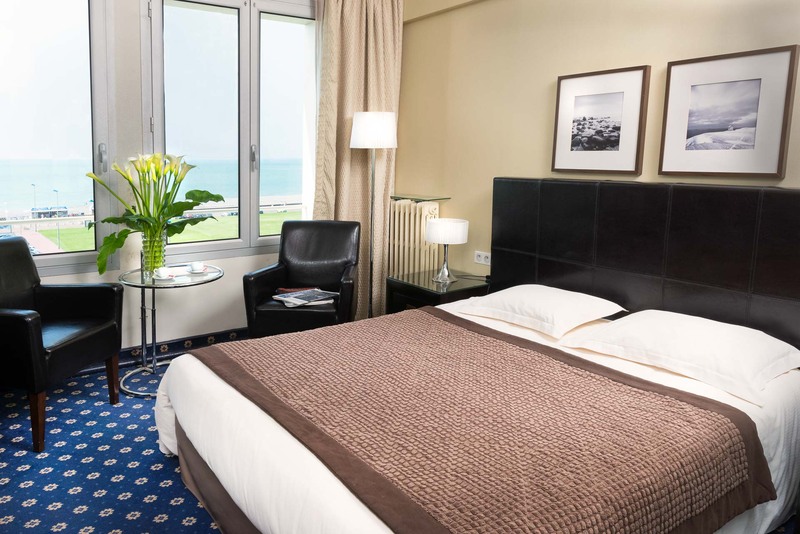 Hotel Aguado brings you these spacious rooms on its upper floors, with exceptional sea views. 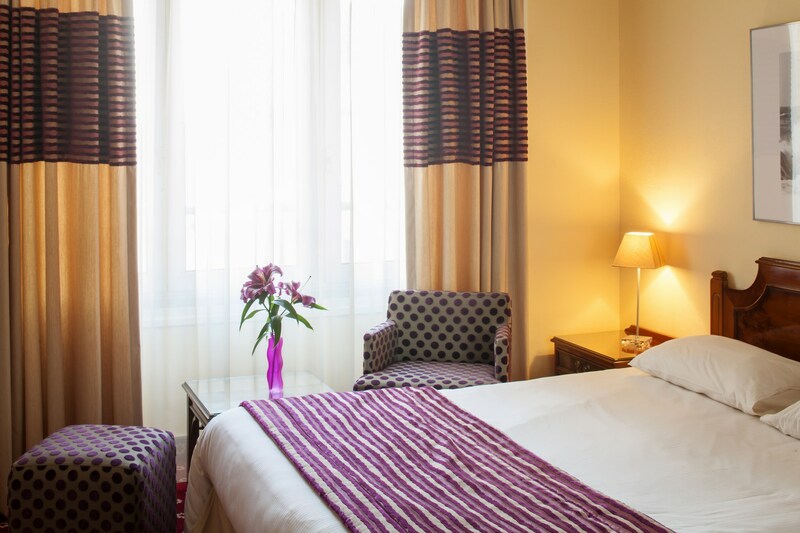 Choose between a double room for 2 people featuring a small living area or a room for 3 people with a double bed and a single bed. 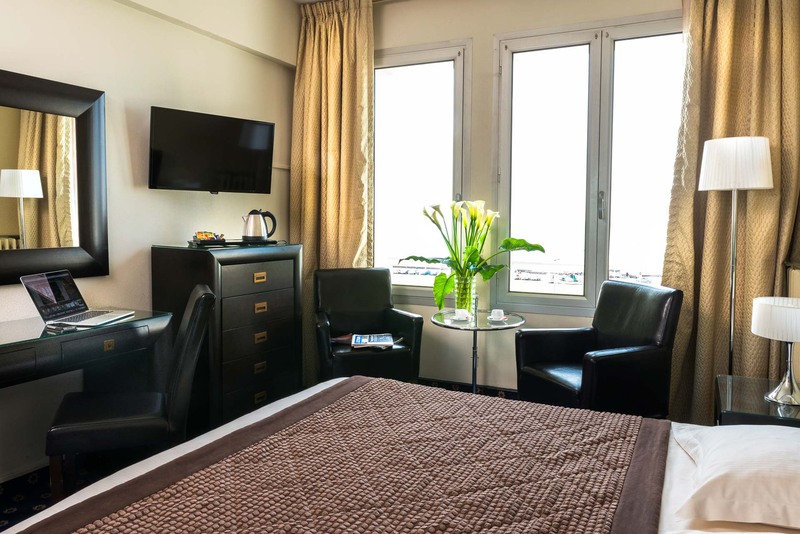 They come equipped with a flat screen TV (TNT, international channels, radio), a telephone and wake-up call service, free WiFi access, high-end mattress, minibar, desk, courtesy platter, bathroom with bath or shower, complimentary toiletries and hair dryer. Historian Jules Michelet once wrote that "he who has not seen Dieppe has not seen Normandy." This port town, with its history of exploration and conquests, beckons you to discover its past glories and present beauty.